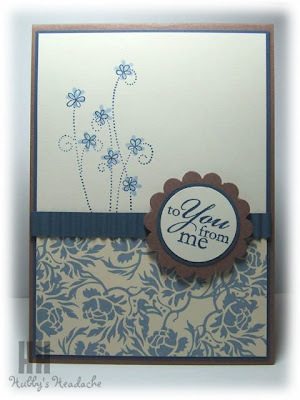 The first card which they made four of was a female themed card using the 'Bella Blu' paper with Not Quite Navy, Close to Cocoa and Very Vanilla with just a touch of Bashful Blue. The second card was for the males and again, made four of these, using Very Vanilla, Chocolate Chip and Night of Navy. 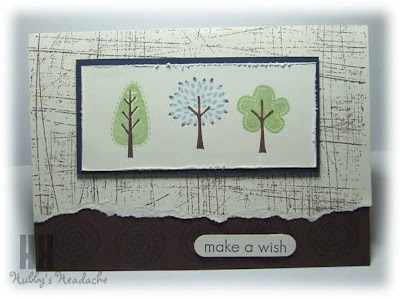 Convention goers may recognise this layout from one of the make and takes we did :) and I followed Nicki Tidbold's advice for male cards and have included texture, roughness, tearing etc. And last we made these four cards (one of each - same layout, just swapping the colours around) These were the children based cards and mixing the colours made them suitable for boys and girls. I was very pleased with how they turned out. Great to see you back in blogland - fabulous projects - my fave is the first one- but love 'em all! 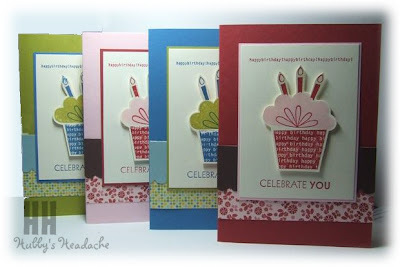 There all great cards, really like the cupcake ones. They're lovely Debbie! I especially love your cupcake cards! Will be casing those for sure!! I'm sure everyone had a great time! They're great Deb! Cheryl phoned me about something and said she loved the cards and really enjoyed herself!